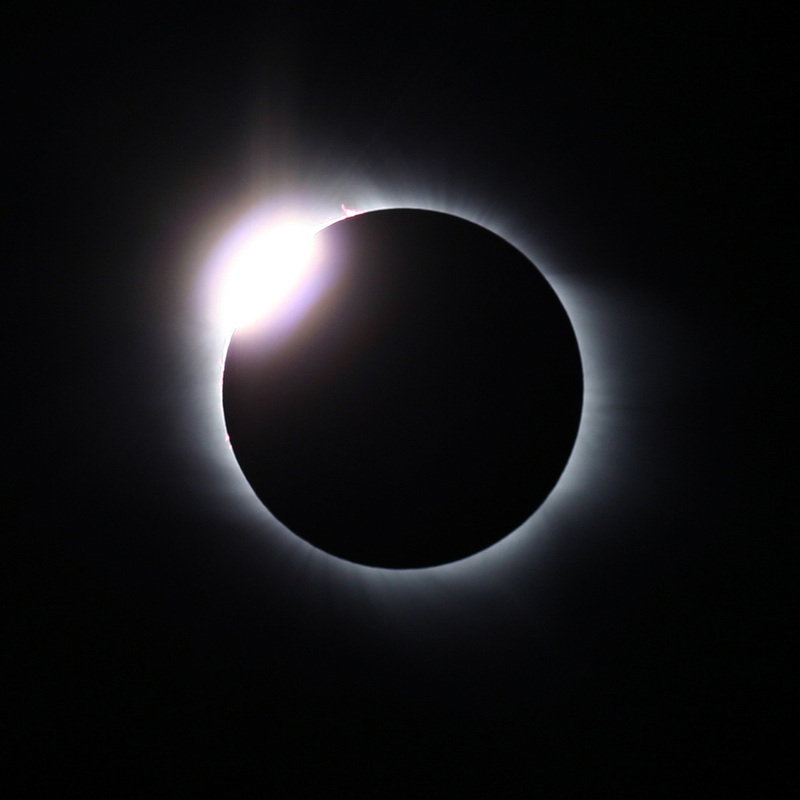 Baily’s Beads are the tiny points of light that flicker around the edges of the lunar disk during an eclipse. During a lunar eclipse, the Moon passes directly in front of the Sun when viewed from Earth. Because the Solar System is constantly moving, the apparent sizes of the Sun and Moon — that is, how large they appear in the sky — vary. At worst, they’re within 11% of the same radius; at best, they can be exactly the same size. During eclipses, this produces an interesting effect: when the Moon passes in front of the Sun, it is a tiny bit too small, and hints of sunlight trickle in around the edges, filtered through by mountain ranges and craters on the surface of the moon. This filtering of light — obscured where there is, say, a mountain, and let through where there is a valley — produces a beading effect around the rim of the lunar disk, called Baily’s Beads. Fantastically, this effect was measured and recorded as far back at the 18th century, in a painting by Cosmas Damian Asam, a German painter/architect. This painting, located in Weltenburg Alley, depicts a Bailey’s bead streaming down from the blacked-out sun.